A new vibrating speaker has this week launched via Kickstarter in the form of the Mini Troll Resonance Speaker. Which is now available to back with pledges starting from €22 and shipping expected to take place during July 2017 if the campaign is successful. 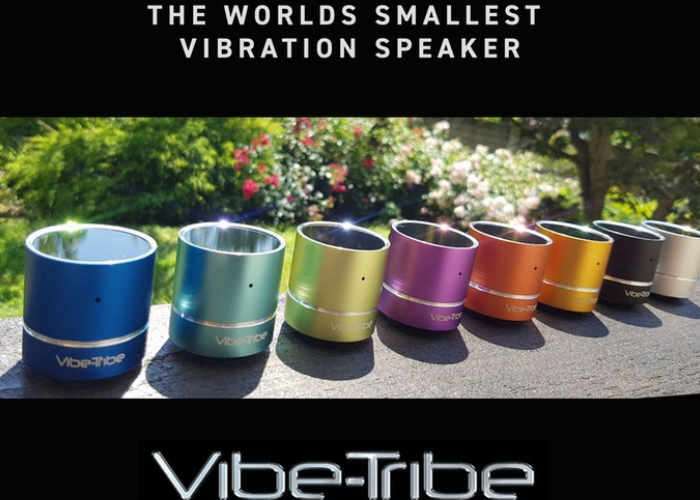 Watch the demonstration video below to learn more about the unique speaker which includes three-dimensional technology and is being marketed as the world’s smallest vibration speaker currently available measuring just 4.2 cm x 4.2 cm. The small pocket size device has been created to transform any surface into a powerful and effective sound system. The internal battery is capable of providing up to 4 hours of continuous playback on a single charge. For a full list of all available pledges jump over to the official Kickstarter crowdfunding website via the link below.